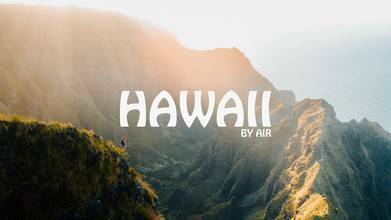 Fly away to an island paradise with contributor justindkauffman, in his cinematic drone masterpiece that captures all the best features of Hawaii. Throughout this film, waterfalls pour over the sides of cliffs covered in blackened moss, rolling waves lap peaceful beaches, and mountain peaks jump out of the dense rainforests that cover the island. See all the wonders of Hawaii from his magnificent Drone Video of the Week nominee!